All trading has stopped for the rest of Friday at the Toronto Stock Exchange and the Montreal Exchange due to an unexplained technical problem, the company that operates them said. The TMX Group said that trading was halted shortly after 2 p.m. on both exchanges due to an outage. 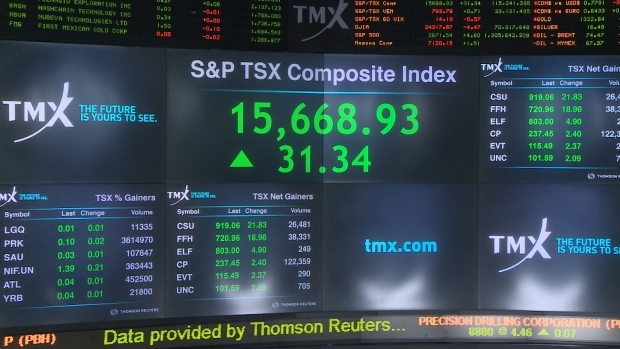 The S&P/TSX Index was up 31 points or 0.2 per cent at 1:39 p.m., the last time Friday’s trading volume was updated on all charts. It appears the Toronto Venture Exchange also went down at the same time. The operator said later Friday that all trading would be suspended for the rest of Friday as crews were unable to solve the outage.